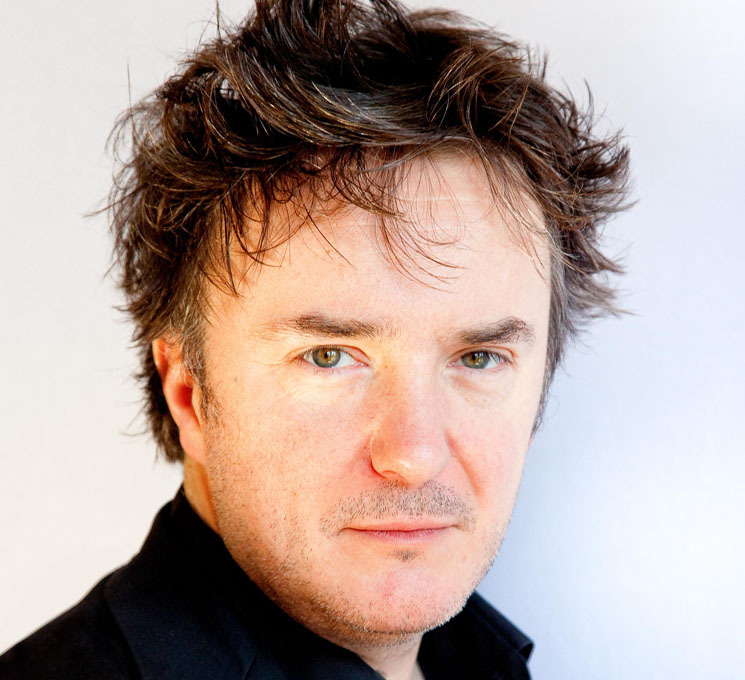 With bizarre combinations of words like "maiden's oesophagus" and "Chernobyl with priests," Dylan Moran's comedy inserted perfectly crafted absurdist gems into a nonchalant, seemingly stream-of-consciousness yarn. Sometimes Moran's muttering in his thick Irish accent was tough to follow, but overall, his hour was a dense treasure trove of witty misanthropic charm like his tour name, "Grumbling Mustard," suggests. Accompanied by a pumpkin-coloured mug and a soothing but slightly distracting slide show of his own art, Moran's show began with the brutally funny fact that most of us hate our lives as we get up in the morning, and most of us will die before we self-actualize. Following that, Moran contrasted his act's initial nihilism with adorably ridiculous takes on Justin Trudeau, exercise and trying to use emojis. Remarkably, no matter whether he was calling love a cult or doing a lofty one-liner about the nature of time itself, every observation from Moran was thrilling. His meditative circular patterns of thought gave you the feeling that the nonsensical nature of life, both in its glory and its awfulness, was a privilege to witness. The laughs were sometimes secondary, but nobody cared because his writing was so entertainingly enigmatic.